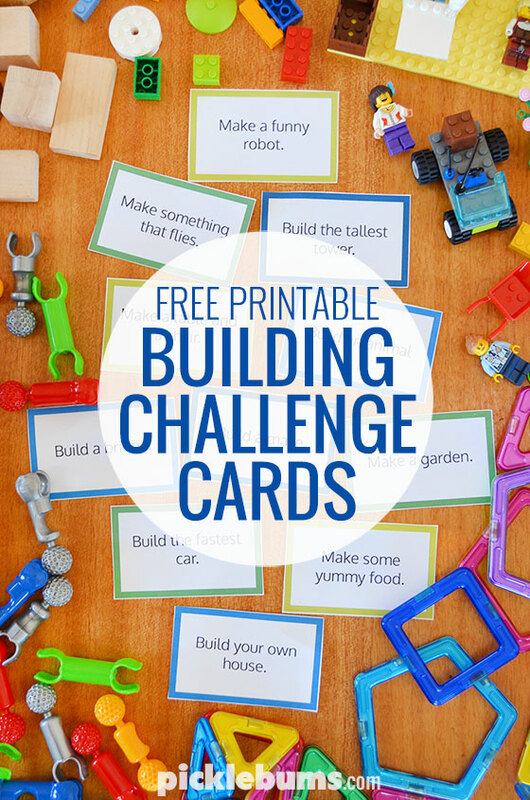 Free Printable Building Challenge Cards. My kids love nothing better than dumping out the hug tub of Legos and spending the afternoon building. They are equally fond of our other construction sets, Zoobs, Magformers and good old fashioned wooden blocks are among their favourites. Lately, on cold weekend mornings when I don’t really want to get out of bed, I’ve been capitalizing on this love of building and buying myself a little extra time under the covers. I’ve been setting my kids a building challenge. Before I go to bed, I leave a construction set on the dining table, and one of our building challenge cards. 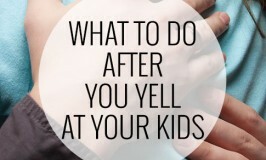 My kids wake up in the morning, grab themselves breakfast, and start building, while I snooze. It’s awesome. 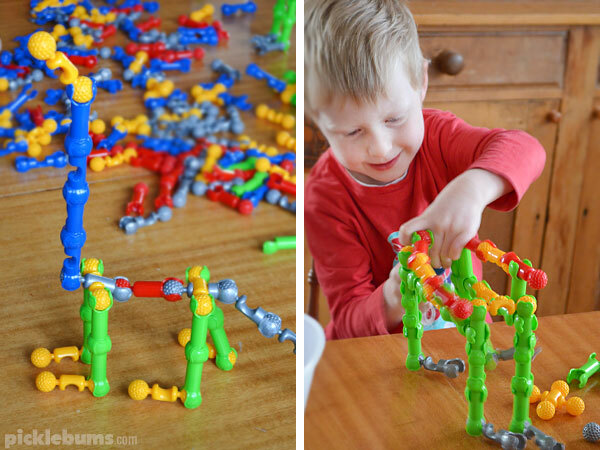 This challenge was to build the tallest tower – which isn’t as easy as it sounds when you are using Magformers! This time they are making animals from the Zoobs. 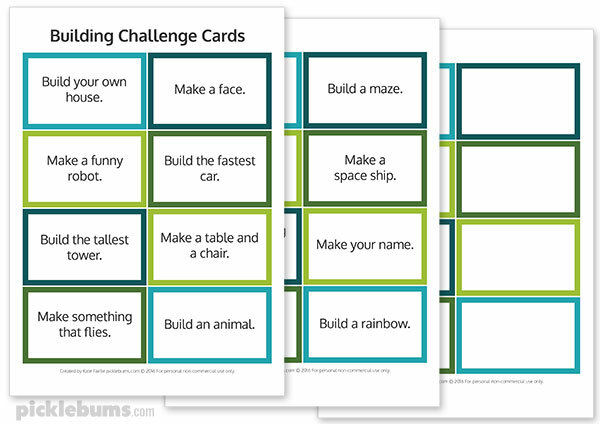 You can download the set of building challenge cards here. 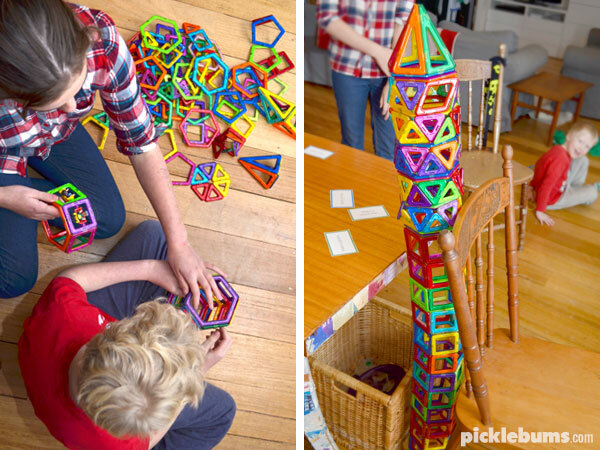 Do your kids love to build? 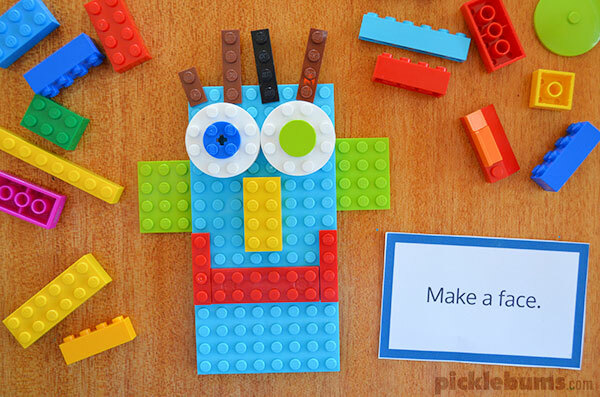 If you use our building challenge cards I’d love to see what you build! Share a photo on instragram and tag us – @picklebums – so we can check it out. These are great! Would you allow a public library to use them for a summer reading program activity? Thanks! You may use any of my free printables with your ow class or group (as a teacher or child care worker or librarian) but you may not use them as part of a for profit group, class or course. 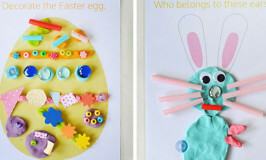 Home » Free Printable Building Challenge Cards.